Do you remember what happened the last time UFC welterweight king Georges St-Pierre (Pictured) and Nick Diaz were supposed to attend the same press conference to promote their impending scrap? 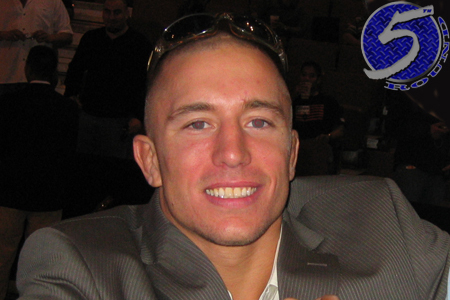 GSP and Mr. 209 will hit the podium this morning inside Bell Centre in Montreal to hype their March 16th shootout. Stream Wednesday’s presser live right here on 5thRound.com starting at 10AM ET/7AM PT. St-Pierre and Diaz headline UFC 158 at the same venue as today’s media gathering.